With blood soaked snow and violence as brutal beauty, director Toshiya Fujita directs this influential tale as swift as the blade of an assassin's sword. 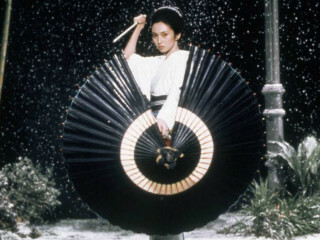 Cult icon Meiko Kaji stars as an unstoppable heroine sworn to vengeance. For the savage deaths of her parents, she will exact bloody justice through carnage at full tilt. Adapted from a series by manga author Kazuo Koike, the mind behind classics Lone Wolf and Cub and Crying Freeman, Lady Snowblood is a gorgeously shot and composed gore-revenge classic. Decades after its release, director Quentin Tarantino would use it as a repurposed plot line in Kill Bill.